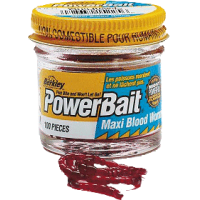 The Berkley Powerbait Blood Worm is the perfect bait for many fishing situations. It can be used on the hook, on a hair or to hide the hook completely. 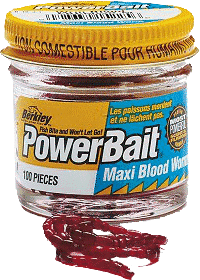 The Blood Worm is extruded using 100% biodegradable material and has the exclusive Berkley Powerbait Formula infused within each worm. The tough texture means that it is long lasting and can be used many times.